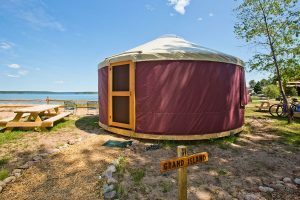 Starting at $499.00 for 2 people. 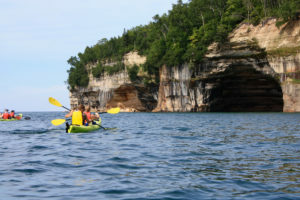 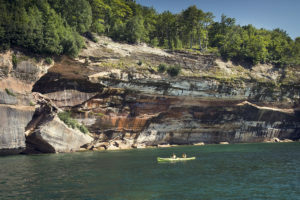 Planning to visit the Pictured Rocks National Lakeshore? 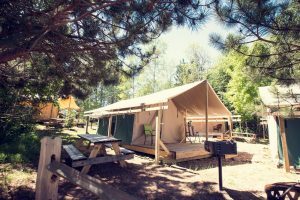 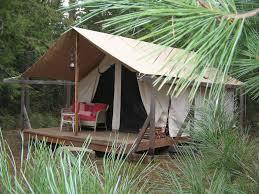 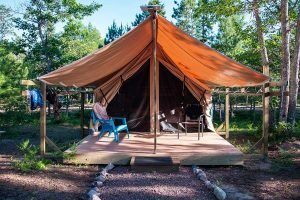 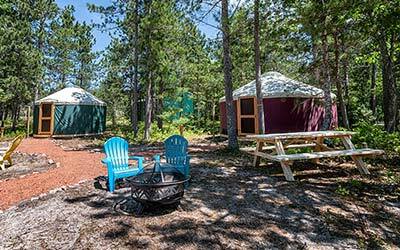 Make your visit a memorable experience with a glamping package at the Au Train Beach Campground and Resort. 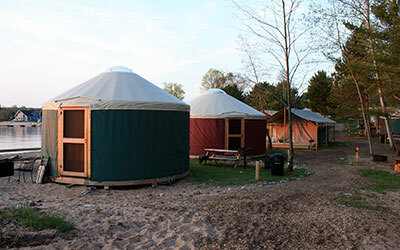 Take a break from the ordinary and settle into nature in one of our open and airy Yurts. 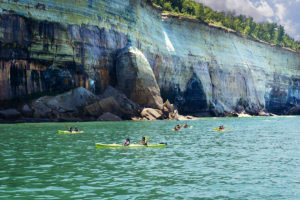 Relax in the breeze off the shores of Lake Superior, have a campfire, do some grilling, cool your feet with a long walk along a sandy beach, and experience the beauty of the north. 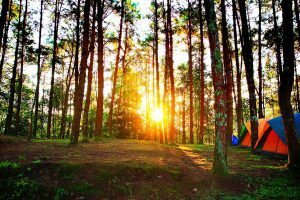 Scroll down for 2 days of fun and relaxation. 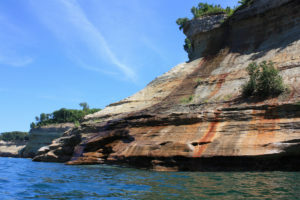 Cruise around Grand Island on the M/V Uncle Ducky Catamaran in Christmas, Michigan. 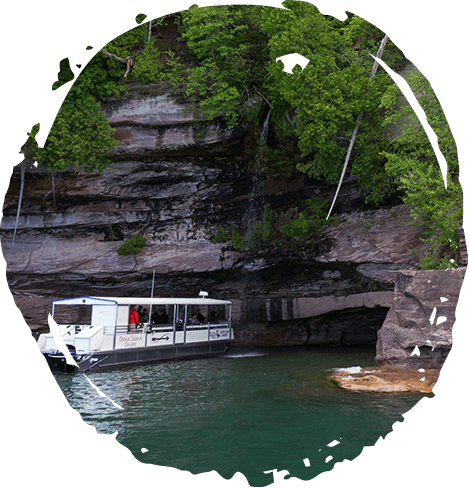 The Cruise is located 3 miles west of Munising on Highway M-28 next to the Duck Pond Restaraunt and Beer Garden. 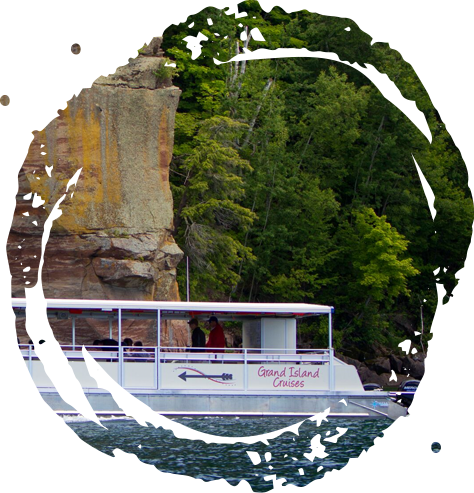 The Uncle Ducky Grand Island Cruise Boat is USCG inspected and certified, appropriate safety equipment, and a capacity of 35 people. 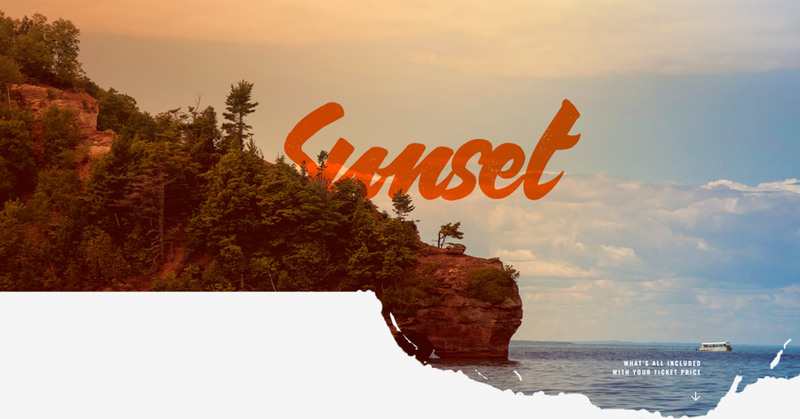 Sunset refers to the time of day. 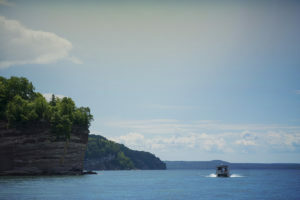 Cruises in June and July will typically arrive back at the dock before actual sunset. 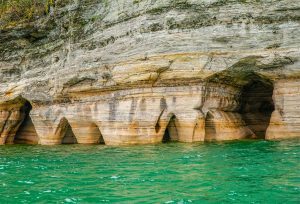 Grand Island stretches north for 8 miles, from its southpoint at Williams Landing in Munising Bay to the north end at North Point. 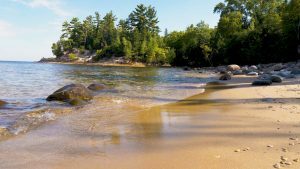 Only three miles across at its widest point, Grand lsland offers 35 miles of shoreline, encompassing over 13,500 acres of dense woodland, including several lakes. 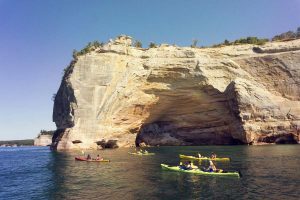 Rapid-flowing streams cut through the rugged hills, and massive 300 foot wave-cut sandstone cliffs. 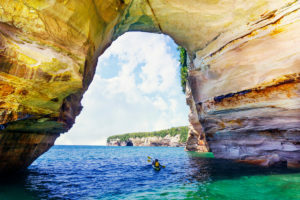 Beaches of fine sand, winter ice caves and historic buildings and artifacts dating back as far as 2,000 BC are just a few of its highlights. 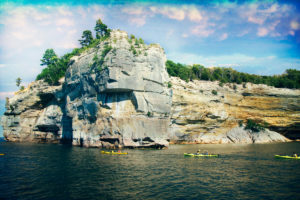 Archeological investigations indicate that Grand Island has been inhabited for at least 3,300 years. 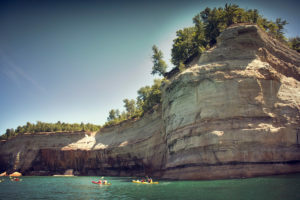 In the 1660’s, when the explorer priests arrived from France, the Ojibwa culture on Grand Island was already thriving. 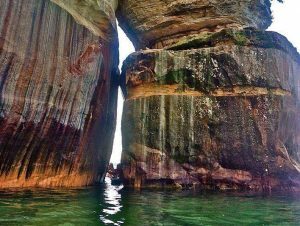 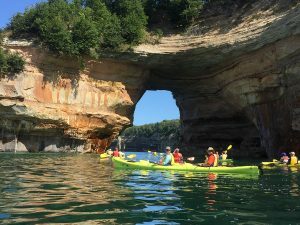 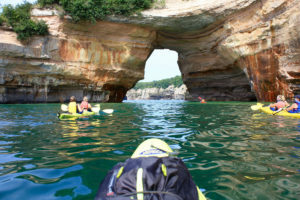 Located only ½ mile offshore from Munising this island is 9 miles long and up to 3 miles wide with many beaches, sea caves, arches, cliffs, and wildlife abounds. 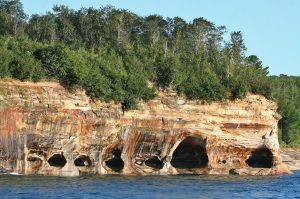 Same geology as the Pictured Rocks. 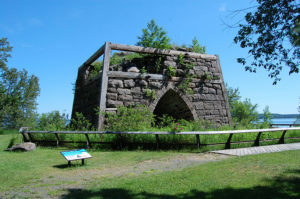 The first Settlers came to the Island in the early 1800’s when trading for furs was the prime industry. 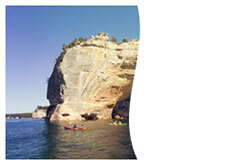 Evidence of this activity is still apparent there. 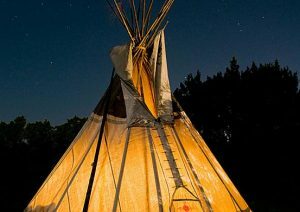 The first permanent settlers arrived in 1846, setting up a trading post there to trade with the Ojibway Indians. 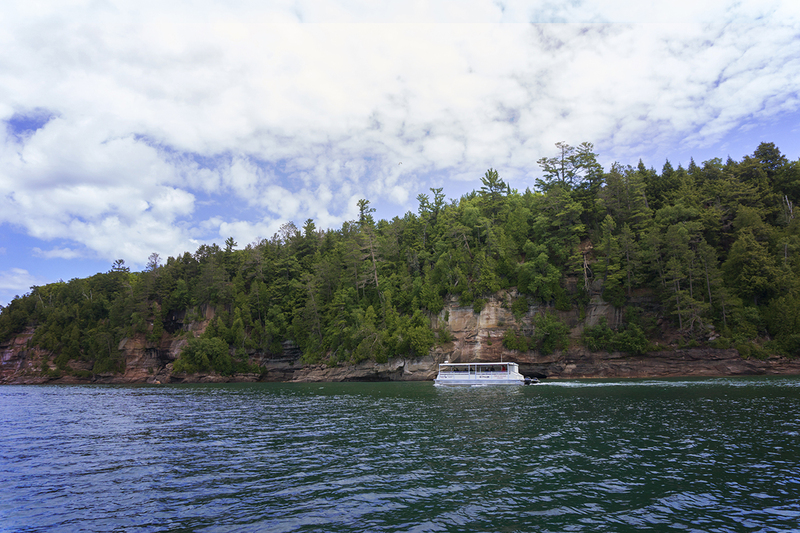 The 35 passenger Catamaran M/V Uncle Ducky is available for private charters around Grand Island, Munising Bay, and west to Shelter Bay. 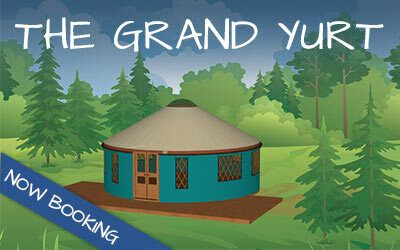 Private Parties, Weddings, Educational Groups. 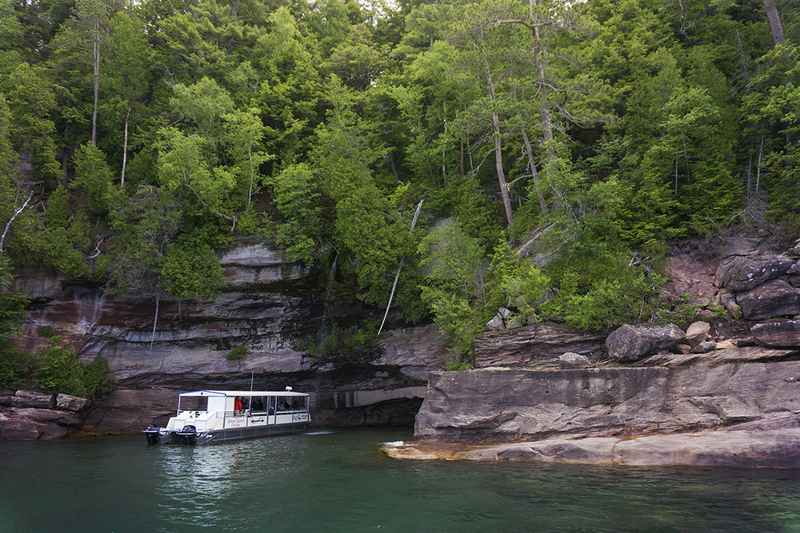 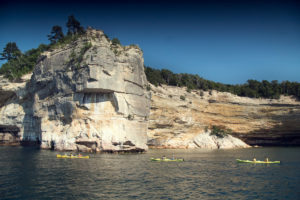 Sit back and relax as your private crew explains the history, geology, beauty of this area. 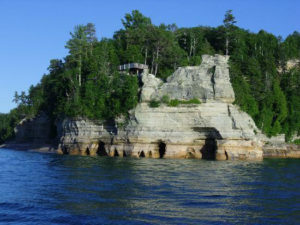 Certified for beach landings at the North End of Grand Island this is a great place for some hiking and sightseeing. 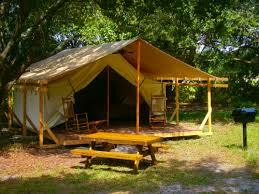 Catering is also available. 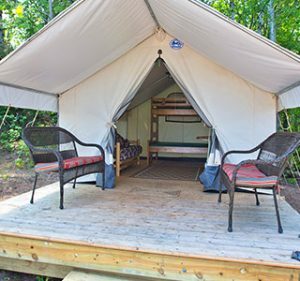 Low price of $350 per hour with a 3 hour minimum. 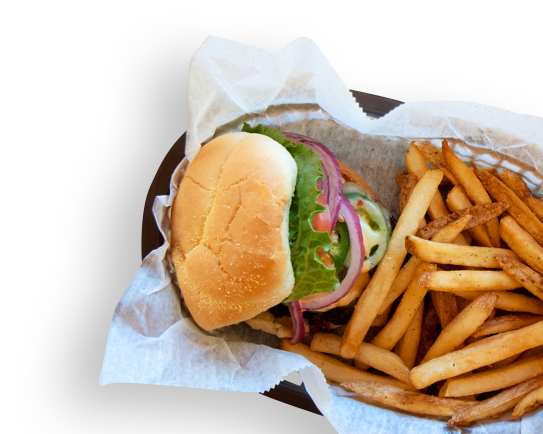 Available daily from 9:00 AM to 4:00 PM. 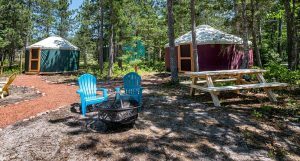 Call 906-228-5447 to Book your date.